The Universe is an old neighbourhood, roughly 13.8 billion years old. Our galaxy, the Milky Way, is also ancient, some of its stars are more than 13 billion years old (eso0425). Nevertheless, there is still a lot of action: new objects form and others are destroyed. 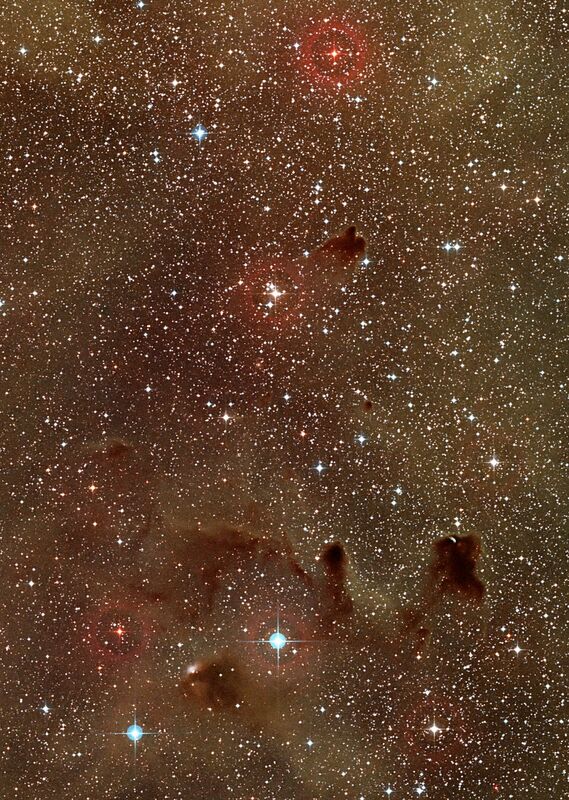 In this image, you can see some of the newcomers, the young stars forming the cluster NGC 2547. But, how young are these cosmic youngsters really? Although their exact ages remain uncertain, astronomers estimate that NGC 2547’s stars range from 20 to 35 million years old. That doesn't sound all that young, after all. However, our Sun is 4600 million years old and has not yet reached middle age. That means that if you imagine that the Sun as a 40 year-old person, the bright stars in the picture are three-month-old babies. Most stars do not form in isolation, but in rich clusters with sizes ranging from several tens to several thousands of stars. While NGC 2547 contains many hot stars that glow bright blue, a telltale sign of their youth, you can also find one or two yellow or red stars which have already evolved to become red giants. 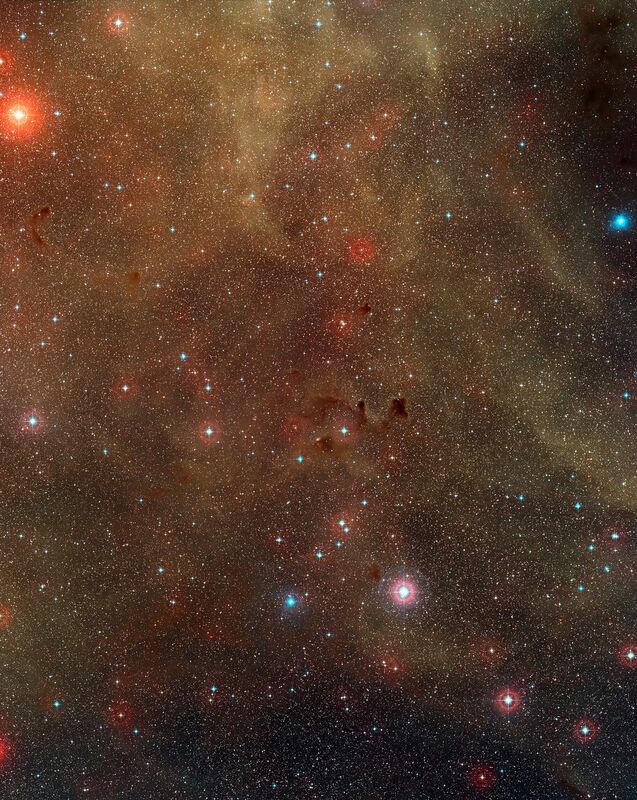 Open star clusters like this usually only have comparatively short lives, of the order of several hundred million years, before they disintegrate as their component stars drift apart. Clusters are key objects for astronomers studying how stars evolve through their lives. The members of a cluster were all born from the same material at about the same time, making it easier to determine the effects of other stellar properties. The star cluster NGC 2547 lies in the southern constellation of Vela (The Sail), about 1500 light-years from Earth, and is bright enough to be easily seen using binoculars. It was discovered in 1751 by the French astronomer Nicolas-Louis de Lacaille during an astronomical expedition to the Cape of Good Hope in South Africa, using a tiny telescope of less than two centimetres aperture. Between the bright stars in this picture you can see plenty of other objects, especially when zooming in. Many are fainter or more distant stars in the Milky Way, but some, appearing as fuzzy extended objects, are galaxies, located millions of light-years beyond the stars in the field of view.